In an attempt to find out more about Hooded Crows (love them or hate them......we don’t know a lot about their movements and even less about their population demography) David Jardine has been colour-ringing nestlings on Colonsay in the southern Hebrides and will be interested in any sightings from Ireland. Previous work with metal rings has shown that birds do disperse from the island; a nestling ringed on Colonsay in May 2013, was found at Bunnahabhain, Islay the following February. Last summer another Hoodie, ringed as a nestling on Colonsay on 22 May 2007, was caught in a crow trap on 25 May 2017. 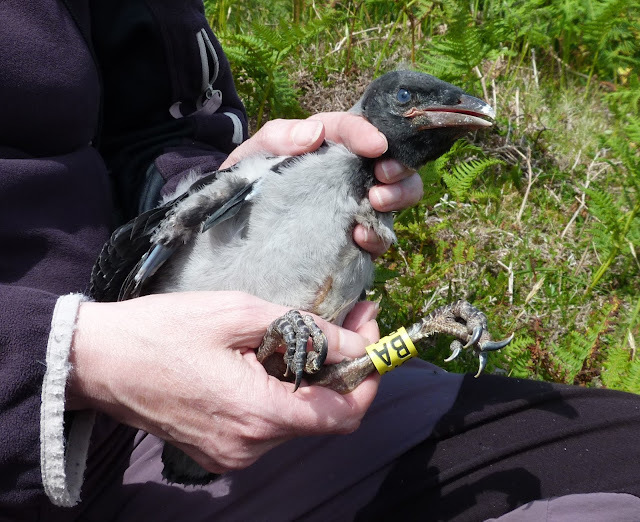 The current longevity record for a Hooded Crow is of a bird shot at Lockerbie, Dumfries & Galloway which had been ringed in Opland, Norway six years, four months and three day previously. David would be delighted to hear of any sightings of Hooded Crows with yellow colour-rings seen in Ireland (he can be contacted at dcjardine@btinternet.com). 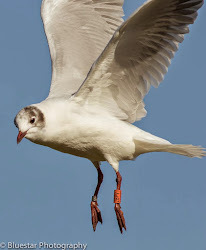 Mediterranean Gulls have been breeding in Ireland since at least 1995, with the first confirmed breeding record being at Blue Circle Island, Larne Lough. Since 2015, as well as ringing young Black-headed Gulls, we have been colour-ringing young Med Gulls during our visits to Blue Circle Island. 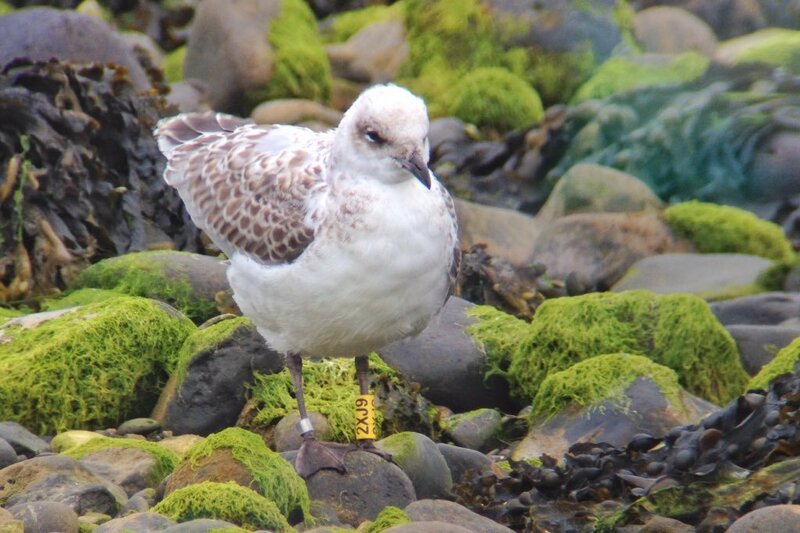 A total of seven young Med Gulls have colour-ringed over the three years since. We have only received a re-sighting of one of the seven birds so far, but it has been spotted a number of times since. 2XJ9 was ringed by me on Blue Circle Island at the end of June 2016. It was then photographed by Neal Warnock at Glenarm, about 12 miles up the Antrim Coast from Larne Lough. The bird was not reported again until September last year when it was re-sighted twice in ten days by the same observer at two sites on Loch Ryan. We got word last week that 2XJ9 is still overwintering in Scotland, as the same observer recorded it again, this time at a site just north of Stoneykirk. We have added a page to the blog, which features photographs of Mediterranean Gulls (ringed and not) which have been recorded here in Northern Ireland. Please check it out by clicking here. Many thanks to Neal and Brian for reporting their sightings and to Sean for co-ordinating Med Gull colour-ringing in Britain and Ireland. Just before Christmas we visited Edinburgh Zoo for the day to celebrate our animal-mad wee boy's 6th birthday. 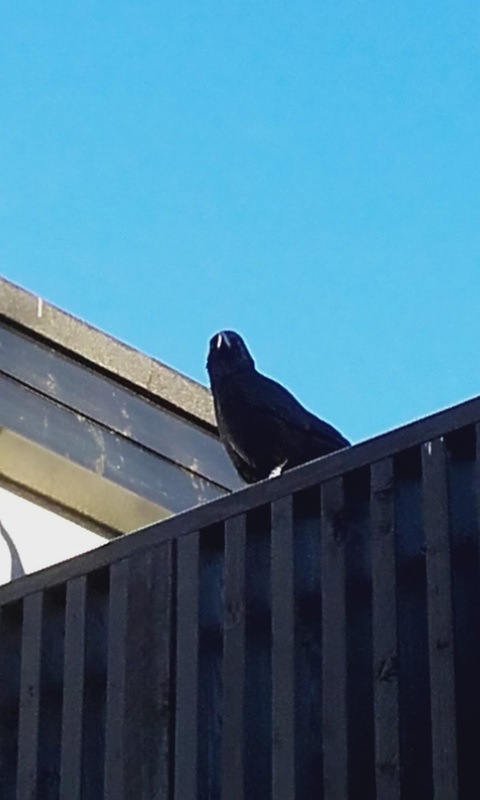 Among the exotic and exciting animals, my attention was drawn to a Carrion Crow which was kicking around beside Penguin Rock and was sporting a white colour-ring. Unfortunately, I didn't have my binoculars with me but thankfully it was obviously used to people and I got close enough to allow me to read the code - "AL". 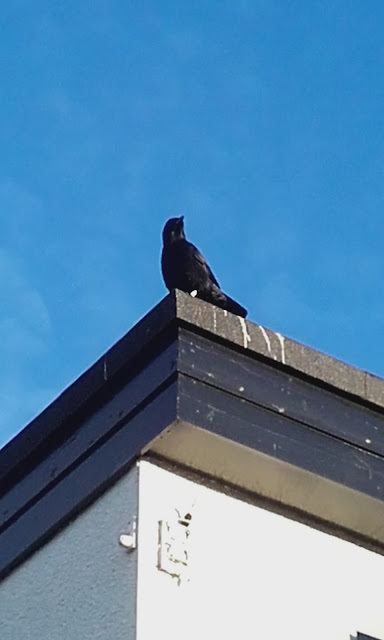 The bird flew up onto the roof of the coffee shop and I managed to get a couple of photos with my phone. I checked the cr-birding website, but the only project I could find which matched was based in Belgium and I assumed there must be someone closer than that colour-ringing crows, so I asked via Facebook. An email address was passed on and I contacted Dr Rachael Miller at University of Cambridge, who replied to tell me that she ringed AL as a sub-adult male in May 2011. 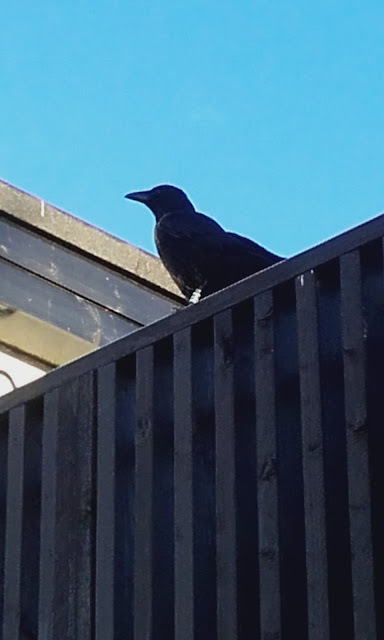 This was one of 65 crows ringed in Edinburgh Zoo as part of behavioral studies she was supervising at the time, where they compared wild crow behaviour in birds in Edinburgh with those in Vienna, and several other urban zoo-using crows. Despite not having moved very far in 6.5 years, it's still fascinating to hear what other researchers are studying and why. Many thanks to Rachael for the information. P.S. 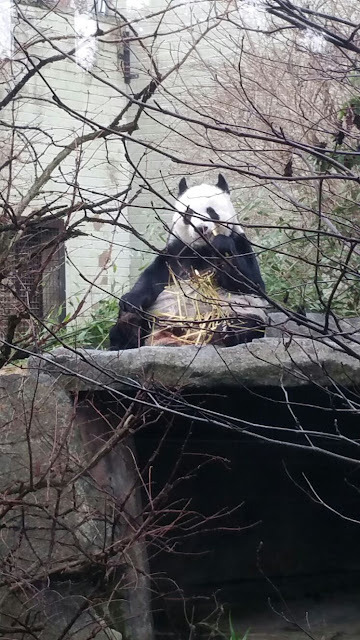 We also managed to see the pandas! Thank you to everyone who reported sightings, sent photographs or helped with ringing during 2017. We hope 2018 will be gull-filled! The purpose of this blog is to raise awareness of a BoCCI red listed species and to encourage people to report their sightings of colour-ringed birds. Between the mid-1980s and late-1990s, the number of breeding pairs of Black-headed Gulls in Northern Ireland declined rapidly. Down from 38,000 pairs to 10,000 pairs, the species has suffered a decline of over 74% and consequently is red listed in Ireland and is a priority species in Northern Ireland. 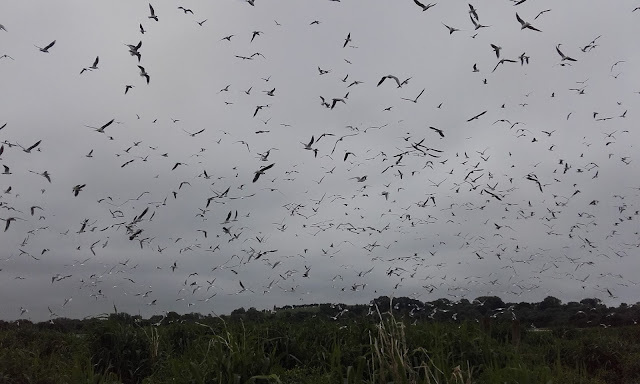 Thank you to everyone who has taken the time to report sightings of ringed birds, helped during ringing sessions or granted permission to ring on their land; including Causeway Ringing Group, Wildfowl and Wetlands Trust at Castle Espie, RSPB NI, Copeland Bird Observatory, National Parks and Wildlife Service (NPWS) North Down Borough Council and the National Trust. purchasing rings for use on Blue Circle Island in 2014/2015, a gesture which is much appreciated. All photos and content, unless otherwise credited, by Adam McClure. Simple theme. Powered by Blogger.